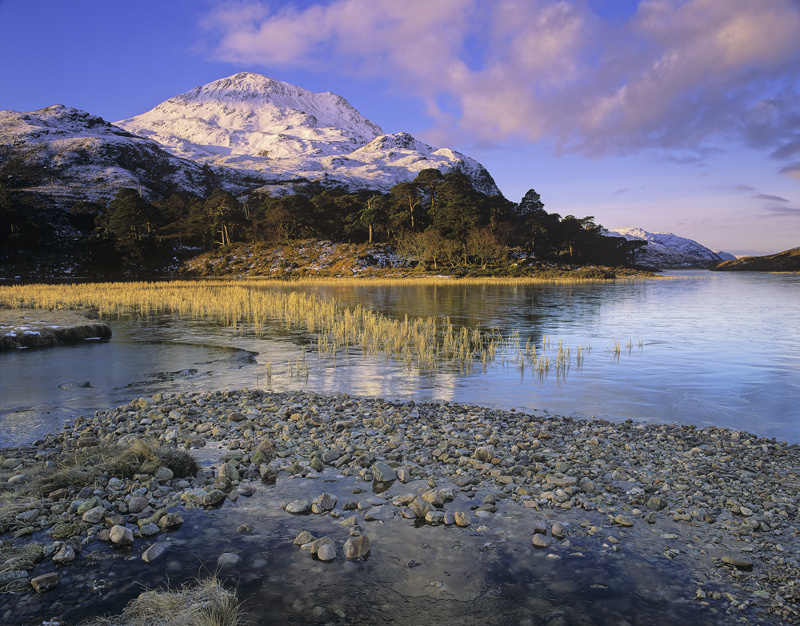 Loch Clair is nestled within the Torridon mountains and surrounded on both sides. It is an enchanting loch which photographs at its best at or near sunrise. This was one of the finest winter mornings I can remember with sunlit snow crystalised on the summits of Liathach and Beinn Eighe and the most beautiful golden light illuminating the scots pine on the slopes. The sky alas had been less forthcoming but fortunately clouds eventually migrated across the sky and duly reflected in the still waters.